Spoonflower recently did a free swatch day where you could order two swatches of any weight fabric at no cost! 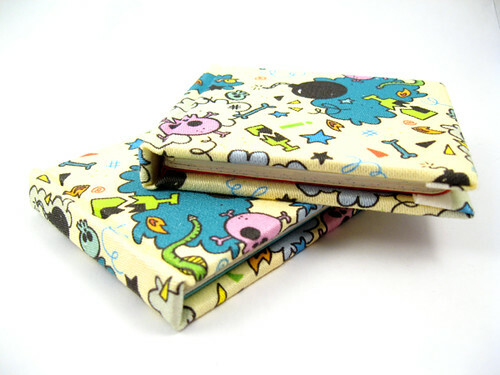 A swatch works out to be 8 x 8 inches, not very big but there’s still a lot you can do with a piece of fabric that size! I got a swatch of the upholstery weight fabric to test how it would hold up as a book cover. 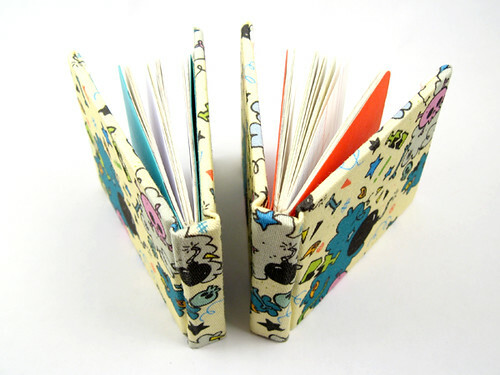 So here are the two tiny books I made for jotting down notes. They are just over 3 x 2.75 inches big, and they have 40 pages of mixed papers in them. I always like to have some kind of book in my bag to jot down little notes and stuff on and that is exactly what I plan to use these things for! 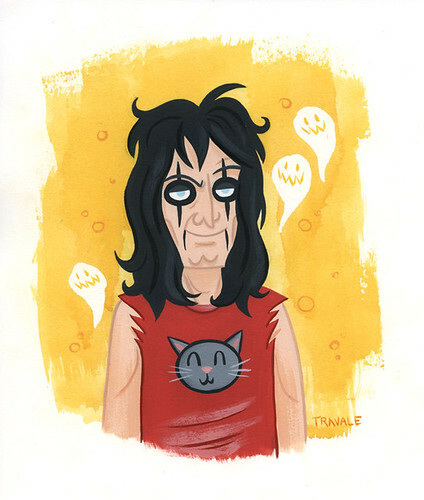 So this morning I woke up with Poison stuck in my head and it reminded me about how rad Alice Cooper is. So here’s a quick warm up painting I did today! 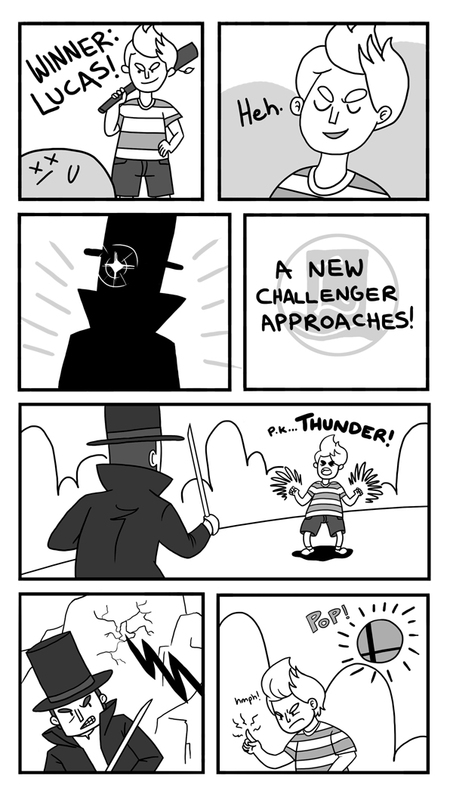 This 4 page comic came out of a couple conversations I’ve had recently about how awesome it would be if Professor Layton was put into the next Smash Bros. game for the Nintendo Wii. Enjoy! 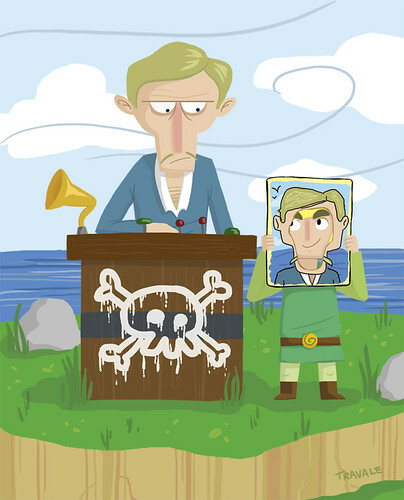 Did this little bit of Legend of Zelda: Windwaker fanart for some quick photoshop practice today!